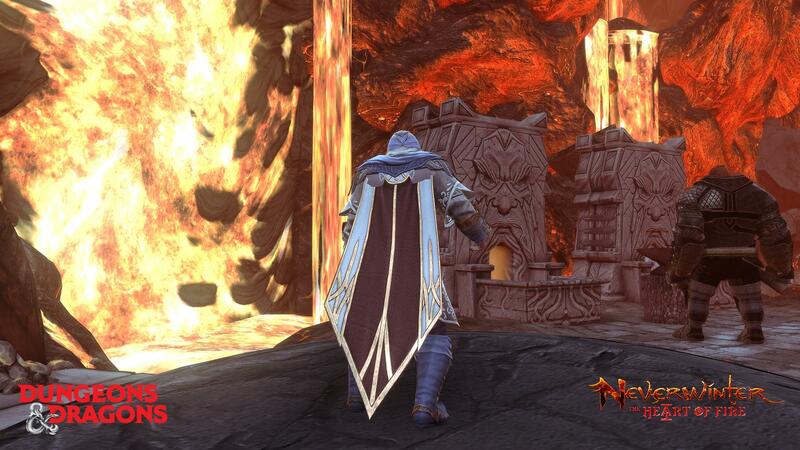 FreeMMOStation.com is teaming up with Perfect World Entertainment and Cryptic Studios to give our readers one Courtier’s Tapered Cloak for the Dungeons & Dragons MMORPG Neverwinter (PC only), in celebration of the Neverwinter: The Heart of Fire’s launch on PC. To win one of the 100 keys you just have to follow the instructions above. Follow FreeMMOStation on Facebook to know about the latest giveaways! Neverwinter is a free-to-play action MMORPG that features fast-paced combat and epic dungeons. Players explore the vast city of Neverwinter and its surrounding countryside, learning the vivid history of the iconic city in the Forgotten Realms and battling its many enemies. Neverwinter is available on PC and is free to play digitally on Xbox One with Gold from the Xbox Games Store and PlayStation 4 (PlayStation Plus not required). 3. Visit www.playneverwinter.com to install and launch the Arc client if you haven’t already. 2. Select the gear icon at the top right of the client. 3. Select “Activate a Product,” enter the item code and click Next. 4. Select the Library icon below “Charge,” locate Neverwinter and launch the game. 5. Once you complete the tutorial, your item can be found at the Rewards Claim Agent in Protector’s Enclave. 1. All codes expire December 31, 2020. 2. For Neverwinter PC only (International – not RU). 3. Items are Bind on Pickup and may only be redeemed once per account. 4. Results may take a few days to be announced after the end of the giveaway. Winners will get their keys on the e-mail provided when they enter the giveaway, or some other obvious e-mail. 5. FreeMMOStation.com won’t be held responsible if a winner doesn’t get his key due to lack of contact e-mail or not getting in touch with us when requested.